Throughout the world, longer lashes are seen as beautiful and feminine. They can be as alluring as the eyes they frame. But if you weren’t born with a gorgeous set of your own, Latisse® treatments will give you longer, thicker lashes that are naturally yours. Latisse® treatments boost the natural growth of your eyelashes. While it’s not a magic potion, it can feel like it when you see how the fullness of your lashes changes. Every night, dab the product along your upper lash line with the sterile applicator and go to bed. The serum will transfer to your lower lash line as you blink, so it isn’t necessary to apply it there. Never re-use an applicator, or you risk irritation and infection. Be careful while applying Latisse®, because if it touches other skin areas, hair growth can occur where it made contact. You can expect to see increased eyelash growth after about 2 months of nightly treatments. You’ll notice your eyelashes gradually become longer, thicker, and darker. As long as you keep using Latisse®, every day will be a mascara-free “I woke up like this” day. Once treatment stops, your lashes will gradually return to their original state. You may experience some eye redness, itching, dryness, or puffy eyelids after using Latisse®. Talk to your doctor before starting this treatment, and if you experience any unpleasant side effects. What is in LATISSE® treatment? Bimatoprost, the same drug used in glaucoma drops. Patients using these drops reported improved growth, thickness and colour in their eyelashes. 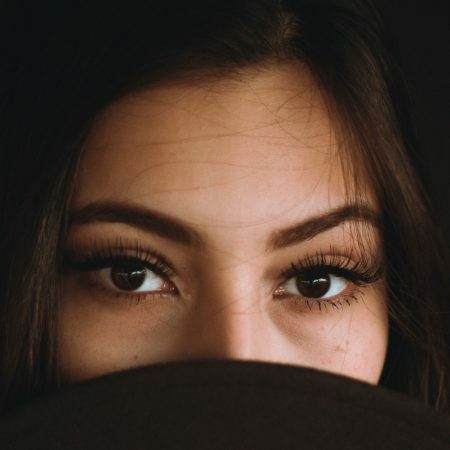 Will LATISSE® Eyelash Serum turn my iris brown? There are no reported cases of Latisse® eyelash serum turning an iris brown. How long will LATISSE® treatment take to show the effects? Most patients report that they can see some change in their eyelash length, fullness and/or colour (darkening) by eight weeks. Full growth is typically achieved in 16 weeks. What happens if LATISSE® solution gets into my eyes? We do not recommend applying product directly into the eye. However, if some solution does drip into the eye, either blot it away quickly or rinse with clear water immediately.